The shocking twist that made our jaws drop is that Bernard, Ford’s protégé, is a host and not a human. 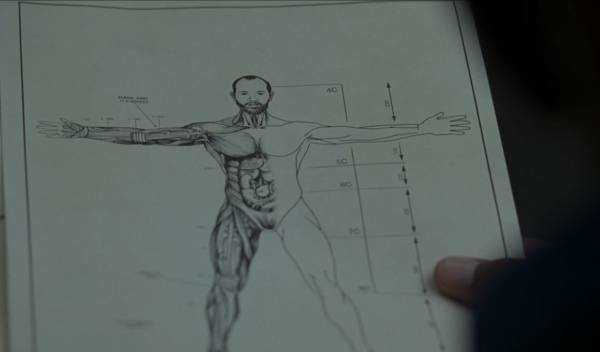 Now that we know Bernard is a host, one of our main theories is looking more and more like a fact, especially if you take a look at all of the not so obvious clues. We first took an educated guess that Bernard is a direct copy of the original human Arnold, Ford’s mysterious partner that is somehow still operating in the park. Now, all signs point to this being true. Ford has proven to be a complete mad man who desires control over just about everything. He created a copy of Arnold that he would have constant control over. For this to make sense, we're guessing that Bernard is a direct copy of Arnold in every way, appearance, clothing, memories, and actions. Even down to those old-fashioned glasses. 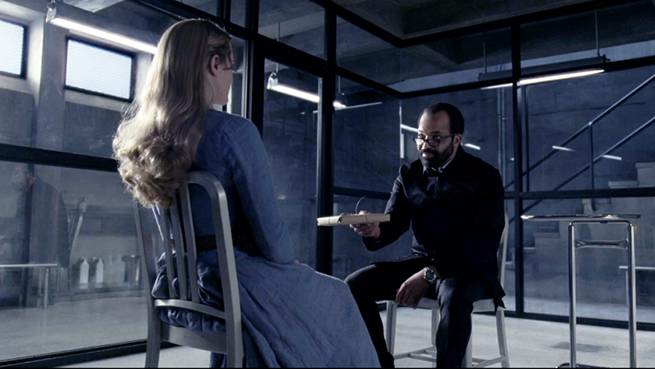 The evidence we are about to present is a bit confusing, so try to stay with us as Westworld is a massive brain teaser itself. We already know that Arnold was marred by tragedy in his personal life causing him to lose interested in interacting with humans and solely focus on his work with the hosts, leading him to "commit suicide." Bernard had the same exact experience with personal tragedy and reaction due to the death of his son Charlie. When Bernard has nightmares or flashbacks of the time he time spent with his son, he is the same exact age as he is now. If we take a closer look at the hospital where Charlie was you can clearly see that the surroundings are outdated. The medical equipment is old and the doctors aren’t using the latest and greatest technology that we have seen in the current timeline. In the pilot, Ford implied that mankind had reached a point where death by illness was no longer an issue humans faced. If the above is true, then why wasn’t Charlie saved? Because Charlie's death occurred a very long time ago, when Arnold was still alive and the exact same age that Bernard is now. In the photo sitting on his nightstand of himself and his son, Bernard is still the exact same age as he is now. Charlie’s death clearly occurred a long time ago, but Bernard hasn’t aged a bit and acts as though it happened yesterday, especially when he speaks with his “wife” in the communication room. The answer is simple – Ford planted these memories into Bernard, a direct copy of Arnold. The memories Bernard is having and the old photo he has in his living quarters are from the REAL Arnold. Ford planted Arnold’s real memories and consciousness into Bernard so he would become just as marred by having a personal tragedy as Arnold did so he would have the same reactions and focus soley on the hosts. Ford wanted an exact copy of Arnold, so he did what he could to make that happen with Bernard. Bernard thinks the memories of Charlie are his because Arnold and Bernard look exactly the same. 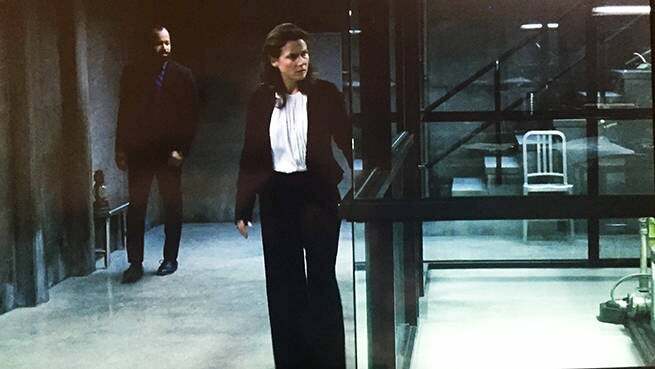 Bernard isn’t suspect of this because he is the same age as he is now in the photo and his memories, and Ford has said numerous times that the hosts are can only understand what they are programmed to understand. For this to make sense, we accept that Bernard is a direct copy of Arnold in every way, appearance, clothing, memories, and actions. The hidden room under the Ford’s fake family home in Sector 13 looked extremely familiar. 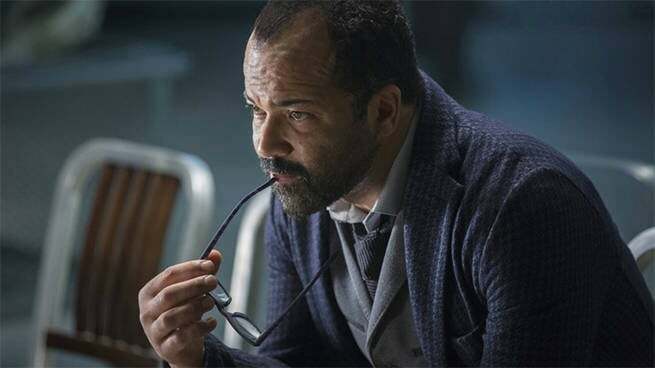 Over several episodes, Bernarnold (as we will refer to him now) had multiple conversations with Dolores in an undisclosed location during a time we couldn’t quite place. Now, we clearly recognize the room as being the same room where Theresa was killed and where the hidden Bernarnold sessions with Dolores took place. The conversations between “Bernard” and Dolores occurred when the park first opened. The one-on-one scenes are flashbacks to diagnostic sessions conducted at the beginning of the park between Arnold and his very first creation Dolores over 35 years ago. Bernard knows a bit about the “diagnostics facility” because he has the memories of Arnold that Ford is allowing him to have. Check out the photo graphic evidence below, even the chair is exactly the same, and modern tech of the Delos Mesa Office is missing! Now, take a look at Theresa first discovering the hidden room. Keep in mind that Ford has programmed all of the hosts to be unable to see what could possibly hurt them and remember how hurt and confused Bernard was to find out he was a host. 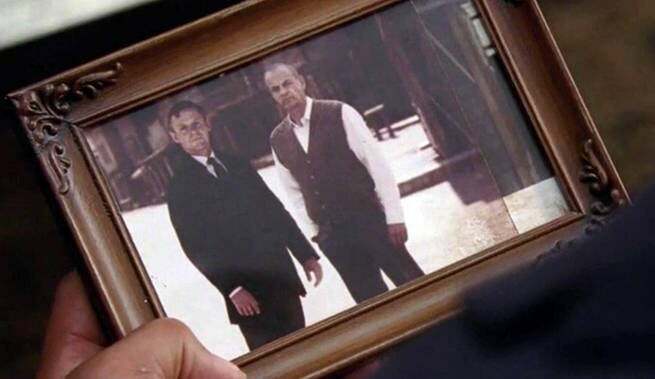 When Ford first tells Bernard about the existance of Arnold, he hands him a photo to look at. At first, it looks like an old photo of a younger ford and some random man who we assumed might be Arnold. When Bernard discovers (or when Ford told him to) the hidden home in Sector 13, there is an exact replica of Ford's family living inside - including the man in the photo, who Ford introduced as his own father. All of a sudden we found ourselves asking if Arnold was Ford's father in real life, and why Arnold would create hosts of Fords family in the first place. Looking more closely at the photo it's easy to see that there is a clear gap next to Ford's robot dad. Nothing quite matches up on a visual scale, and something or someone is there, we just can't see it. We first saw the photo through Bernard's eyes and he did not see what was missing, which was himself (the real Arnold) in the photograph. He couldn't see himself in the photo because he is a direct copy of Arnold and is programmed not to see anything that can hurt him. If he did see himself next to a very young ford, he would have discovered that he is the host clone of Arnold. As soon as Theresa shows Bernard the sketch of himself, he reacts by saying, "It doesn't look like anything to me." Of course, Bernarnold couldn’t see the schematics of his own creation. “They cannot see the things that will hurt them. I’ve spared them that,” Ford reveals as he appears in the hidden room out of thin air. At first this details seems like it only points to Bernard being a host. But when you dig deeper something is missing from the original sketch - a name. Before Theresa as brutally murdered and Bernard had a complete meltdown upon figuring out he was a host, Theresa looked through the other sketches. Each of those original sketches created by the real Arnold had a name at the bottom like Dolores. However, when the audience and Bernard are shown his own sketch, the paper is cut-off and we can't see the name. That's because underneath that thumb the paper says ARNOLD. While some of these details might seem a bit far-fetched, we must remember that showrunners Lisa Joy and Jonathon Nolan have said many times that every single detail and scene has a distinct meaning that will eventually come together in the end. In short, Ford wants control of the entire park, including the employees, the hosts, and now the board, Everything is easily manipulated right under his finger tips. It's completely understandable for him to have created a copy of Arnold that he could control, have by his side, and use his natural intellect to use to his advantage. Either way, poor Bernard is currently having an existensial crisis, because Ford has been using him as his own personal pawn all along. 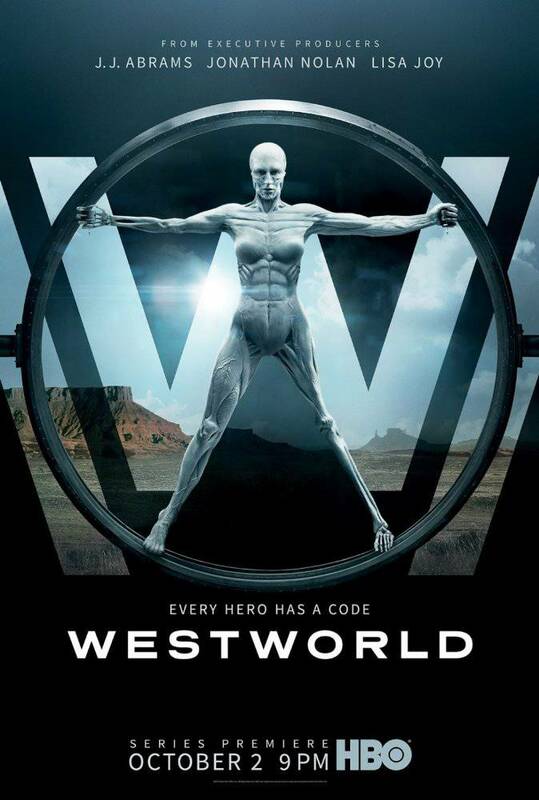 Westworld airs Sundays at 9 p.m. ET on HBO.